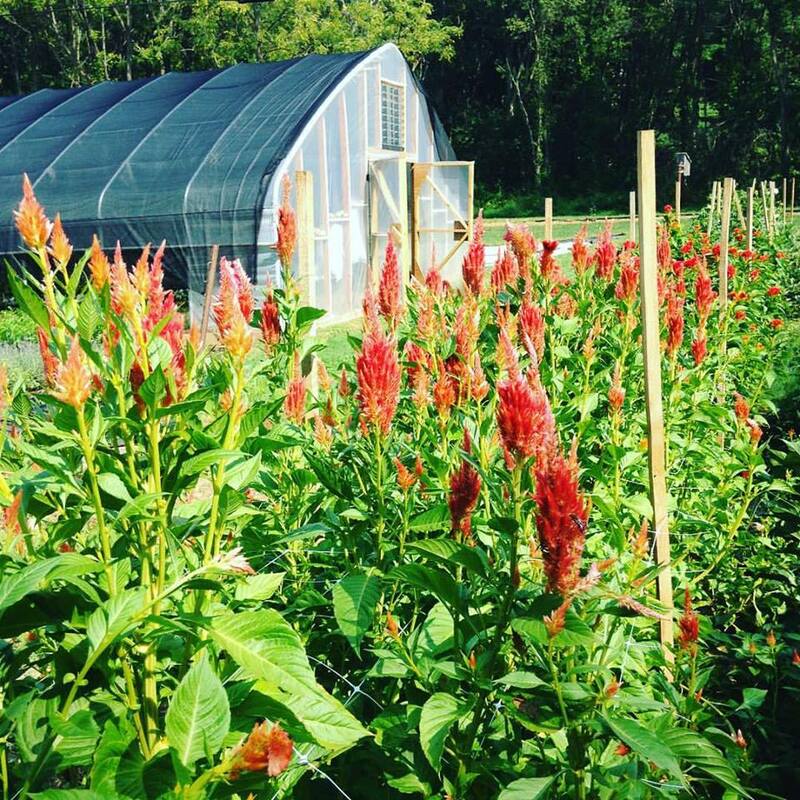 We are a family run farm and floral design studio in Hampstead, Maryland growing a wide variety of cut flowers and produce; including 100 cultivated pawpaw fruit trees. We use ecologically sustainable practices so that future generations can continue to grow in healthy soil. We work with couples getting married, florists, restaurants in Maryland and DC and sell directly to customers at our weekly farmers’ market. Hi, I’m Elisa, my husband taught me how to garden in our community garden in Philadelphia back in 2005. What started out as just a simple way to feed ourselves and connect with community has become my life’s work. We moved to our current farm in 2012 and I’ve been farming here since. I love what I do and I love sharing this passion with others. Before farming I was a modern dancer, clown and construction worker. I like to think I’m able to put all those old skills to use on the farm!